Not sure where I read to do this, but it does work for removing Gutta resist. Get a large pickle jar or something similar and pour about three inches of Naphtha (Available at most hardware stores in the US) into it. Put your silk in the jar, put the lid on and shake a few times. Let set for 10 to 15 minutes until the Gutta is removed. Take the silks out and hang dry. Naphtha is flammable and can harm you so be careful – wear rubber gloves. I have to use this because none of the dry cleaners in my area will touch my silks. 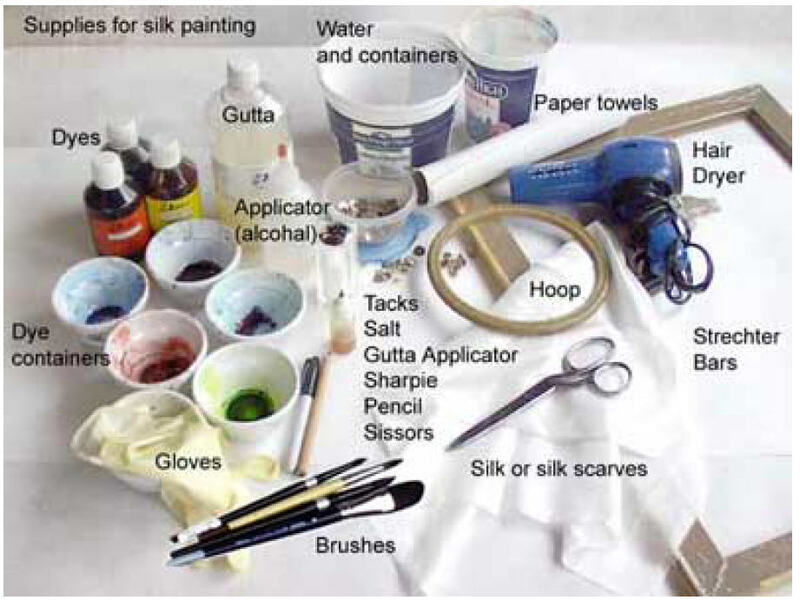 This is a great tip Don as fewer and fewer dry cleaners use the chemicals necessary to remove solvent based resists like gutta.